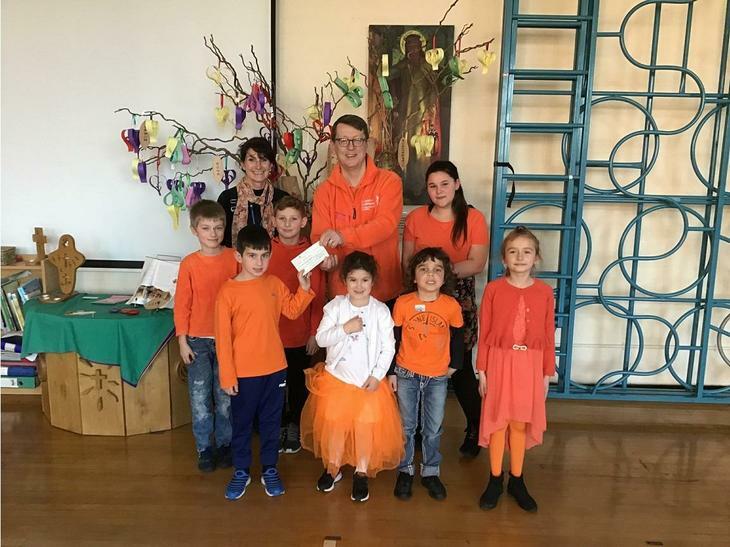 We had a very orange school today as our children supported Muscular Dystrophy UK by wearing orange, the charity's colour. This was part of the Love Your Community arranged by Southport Learning Partnership. We raised a fantastic £155 which, together with the money raised in ALL the other Southport schools, will help further research to finding a cure for this muscle wasting disease. Charles, the North West Area organiser visited us in Praise Worship this afternoon to receive our cheque. Well done everyone!